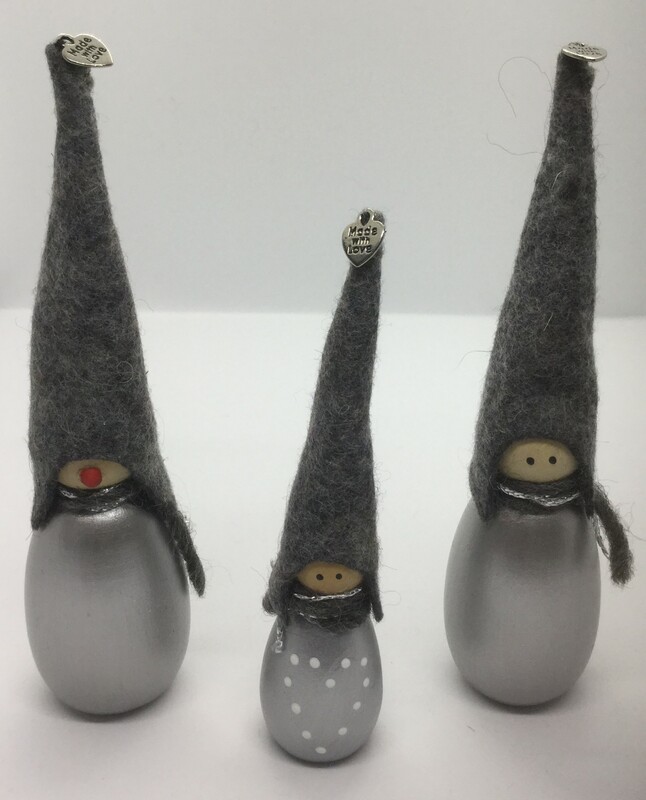 Home / STORE / Nisse / Silver Nisse. warm scarves entwined with grey wool and silver thread. white heart shape spot decoration on the front and stands approx 11cm high.